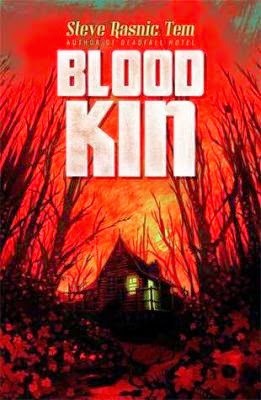 Blood Kin by Steve Rasnic Tem has a nice Appalachian authenticity in style, atmosphere and dialog. The dialog sings and descriptions like "A smile like that surely'd kill a baby" speaks to its Southern Gothic roots. Yet all the authenticity in the world will not save a poor plot. Fortunately, that is not an issue here. 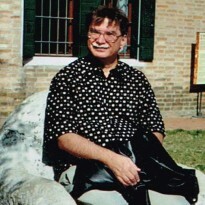 Steve Rasnic Tem has devised a plot that grabs you from the beginning and keeps you interested through a technique of alternating time frames. This is one of those book that elevate the art of storytelling in that the art of storytelling becomes part of the plot. Michael is caring for his grandmother Sadie . He has returned home to do this carrying an ambivalence about his family and his roots. Every night his grandmother clings precariously to life and tells stories about her childhood in the 1930s. It becomes clear that she is telling him these stories for a purpose, perhaps to fill a destiny. Blood Kin has backwoods magic, snake handling preachers, and a mixed race group that has the burden of special gifts. There's a box in the kudzu that holds lingering menace and this tale is loaded with...did I mention snakes? The Southern Gothic influences of Flannery Connors and David Grubbs are noticeable. References to Faulkner shows up a few times in the writing. One character has a fondness for The Sound and the Fury. I also detect a nod to Manley Wellman's Silver John tales. Yet this story has a darker supernatural tint in it than Wellman's and becomes downright creepy at times. It is a delicious edge-of-your-seat form of creepy with enough atmosphere to let you escape into its literary creepiness. This is a novel that will not only appeal to horror fans but also will please lovers of regional fiction.